The Future of Smart Cities?! A new planning tool in development will let governments & people put forward, vote on and see – via virtual simulation – how new ideas, interventions and planning proposals will affect their city. The new research in SOftgrid Limited (and Manchester School of Architecture) focuses on complex urban situations produced by the rapid rate of urbanization today and the resulting extreme changes to the physical fabric of many cities. This looks more closely at Planning & Complexity research (a new framework for cities and governance beyond the ‘smart cities’ definition). The Complex Systems framework encompasses current theories referring to Smart Cities, Big Data, Computational Modelling and Digital Development and Participation. The Research is about how to design and manage our cities in the future through collaborative platforms based around real time geo-spatial systems. Our research points to open online platforms and gamification and moves beyond the simple idea of sensors updating a data models towards optimisation. Planning for Unknown Futures and Constant Urban Change from softgrid_limited on Vimeo. This video was showcased at Rethinking Cities: Framing the Future the 6th Urban Research and Knowledge Symposium (URKS6), held in Barcelona, Spain from October 8-10, 2012. The goal of the URKS6 was to inform policy choices that can help policymakers manage potential economic efficiency, environmental sustainability, and social equity tradeoffs associated with urbanization. The Symposium was organized by The World Bank, in partnership with the City of Barcelona. Our approach showcases new conceptual approaches and complex systems based digital tools developed by Softgrid Limited and post-graduate students at the University of Nottingham. The aim of the research is to provide possibilities for multi-scalar spatial planning, addressing the need to incorporate constant change, self-organisation and emergent behaviours within the morphology of mixed formal and informal urban topographies, especially in the context of the developing world. Established approaches to planning and urban design in practice in the ‘global south’ have primarily been based on existing urban models popularised in and imported from developed countries. As a result, phenomena such as the self-organised nature of informal developments and complex social and economic interdependencies based on geographic and cultural differences have been systematically excluded from consideration of future urban visions. Cities are in constant change. Growth, decline, disaster, renewal and emergence, create ever evolving spatial topographies, where the only believable prediction is for ongoing and accelerating change. The city is always becoming – A state of flux between conditions. Let us imagine, an idealistic situation where, lack of political ideology or will, are not significant issues, I.E. In this context, the desired outcomes of planning and policy making are aligned with humanitarian and civic values, and aimed at the betterment of human quality of life and the city as a place of opportunity for all (Harvey 2003). By accepting this premise the following discussion can remain focused on the effectiveness, failures and future possibilities of spatial planning as an agent of positive change towards inclusive and sustainable cities. While there are many existing models, one of the most used practices of spatial planning in our experience (simplified), tends to be based on variations of five (or longer) year plans. In practice this often works out as several years of collecting and collating data, in order to compile a coherent (updated in case of the exercise having been carried out before) picture of a city (for example). The available data is coded into cartographies primarily based on geographic features, built up areas and footprints, significant monuments, service infrastructure, transport networks, environmental areas and even quality of urban fabric (and many more). It is becoming increasingly common to have NGO’s and other socially conscious agencies on the ground contributing information on social networks, endangered communities and quality of life. This information in co-ordination with national and other trans-scalar agendas is then used as a basis for the creation of future visions, to be enabled through policy enforcement, economic incentives, planning control, zoning and development masterplans. The data used to formulate a picture of reality on the ground is usually out of date and no longer a true reflection by the time it is used to make future decisions. Thus, making the decisions out of date as well. This includes the use of static information systems which simply store data (GIS). Self-organisation and informal settlements are a reality of the developing world, and yet, formal planning generally works on the basis of allowing the ‘problem’ till a solution is found, ignoring the fact that large populations are living in informal dwellings, or replacing existing informal topographies with new formal ones. The visible eventual outcome of all of these approaches is gentrification and exclusion to different degrees. The resolution of maps and cartographies is aimed at bigger scale policies and agendas (E.G. Zoning) being fixed in order for smaller scale (E.G. Streets and Spaces) possibilities to fit in. This establishes an endemic top down decision making process which can only attempt to incorporate previously acknowledged bottom up issues, and cannot react to new possibilities or feedback quickly. Future visions are spatially based on reductionism and Cartesian order, due to their need to create controlled environments with clear implementable possibilities. This approach is unable to incorporate the complexity and variation (Sengupta 2010) of an urban topography that has occurred historically over time, excluding subtler socio-spatial interactions and small scale economic activities. The reduction in multi-level actors and actions eventually leads to less sustainable urban topographies. An ontological shift is necessary in urban planning and policy making. One, where constant change, complex and varied existing situations and the potentials of these – from both introduced and self organised directions – are the basis of projective and speculative approaches to future urbanity. New approaches will need to avoid the pitfalls of ‘visions’ (static aims) and out of date starting points (static data) by working with an understanding of the mechanics of transformation and trans-scalar multidirectional influences and relationships. Complex systems theory which is based on an understanding of both local interactions and the recognition of higher level pattern behaviours is allowing the exploration of new theoretical frameworks and approaches to spatial planning and design. By identifying top down and bottom up processes within cities, and questioning the potential of reductionist strategies towards providing an understanding of the transformative logics within self-organising and emergent informal urbanity, it becomes expedient to attempt the formulation of new tools and methodologies based on new ontologies. New advances in computational thinking are applied on the premise that urban spatiality, particularly in the context of informal cities are in continual states of morphogenesis, and the potential for transformative agency with maximised long term affect can be accessed through an ability to simulate existing directions of change and identify potential locations of timely, appropriate and effective intervention and influence. As yet, the application of complex systems theory based approaches to urban planning has been slow and tentative. This is partially due to the difficulty of working with and proposing open ended processes within existing goal based cultures and agendas, including government accountability set against fixed targets. However, the very purpose of the new approaches is to enable policy makers and planners to work with unknown and unpredictable future situations, necessitating a culture shift from short term fixed goals to long term agendas of management and intervention, towards cities which are sustainable and inclusive. Advances in computational power and the re-assimilation of ‘design patterns’ (Alexander 1978) into the fields of urban design and spatial planning have allowed the development of simulative techniques for the modelling of urban topographies in constant change. 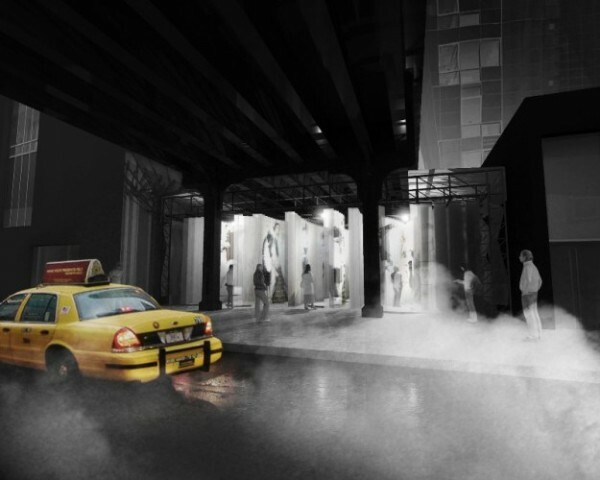 Simulative urban models provide the possibility of examining visible and invisible relationships and influences in relation to local interactions, global influences and environmental constraints. Previous attempts to develop mathematical and predictable models based on direct causal relationships are being replaced by new explorations which have shifted the emphasis to understanding the changing relationships and dynamics underlying the complexities of urban change. It is becoming possible to develop new tools and approaches to aid open ended rule based planning processes, aimed at managing and influencing the direction of future urban topographies. Incorporating identifiable rules of self-organisation and emergence at different scales, allows for projective tools which provide fuzzy future directions based on the known present. It is possible to imagine spatial models of urban topographies which can be used to test the effects of a new policy or intervention before it is implemented, by allowing the simulation to run forward having included the new ingredient. E.g. A simple change to the FSI (height ratio) regulations in Mumbai could be projected within a model to help refine the policy and test the additional constraints and implementations necessary to avoid a future city of skyscrapers with no infrastructure or open space. However, the true power of this approach and these tools, lie in not just projection and testing against projected futures, but rather in their speculative possibilities. E.g. A possibility to visualise new futures, by designing in imaginative elements at various points along a timeline, in order to study the emergent possibilities and tipping points resulting in various future scenarios based on the potentials of the current situation. The tools and approaches displayed here are from case studies (in Mumbai, India & Jingdezhen, China), which were researched in co-operation with post-graduate students at the University of Nottingham. They used socio-spatial mapping, site based visual studies and an understanding of economic policy and political will, in combination with studies of historic spatial change and current morphological tendencies, in order to produce socially, culturally and geographically specific urban design and spatial planning methods/tools. The new simulative and projective digital tools used here were developed to understand, communicate and project existing directions of urban spatial change, before inserting strategic interventions (policy/rule based and space/ function based) at various scales, producing and allowing the study of alternative future scenarios and longer term structural alterations towards socially inclusive and economically and environmentally sustainable futures. Our research is aimed at creating new approaches to spatial planning based on multi-scalar computational tools for simulation of existing spatial transformations and patterns, extrapolation of identifiable socio-spatial urban phenomena, and finally speculation to imagine and test new ideas for inclusive future cities. We are actively searching for the opportunity to research and implement the discussed methodologies in a new city, as a live project, in co-operation with relevant international stakeholders, government bodies and planning agencies. Credits: Eric Cheung, Jonathan Pick, James Rixon, Matthew Sandhu, Benjamin Minton, Aurelia Lee, Adrian Tsang, Lenard Wong, Noriko Matsuda, John Lynch. We recently participated and presented a paper at SCUPAD in Salzburg Austria. The congress was one of the most participatory conferences I have ever been to and it was a real pleasure to meet and discuss approaches to urbanism with luminaries such as Ron Shiffman and Roberta Gratz. 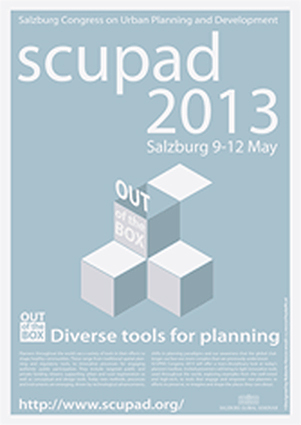 All papers presented can be found at http://www.scupad.org/web/content/presentation-2013 and are well worth a look. The lightweight structure and technology of concert stages has been utilised in order to allow easy decommissioning, reinstallation and reconfiguration, while creating a unique spatial experience with the use of easily available and renewable materials. 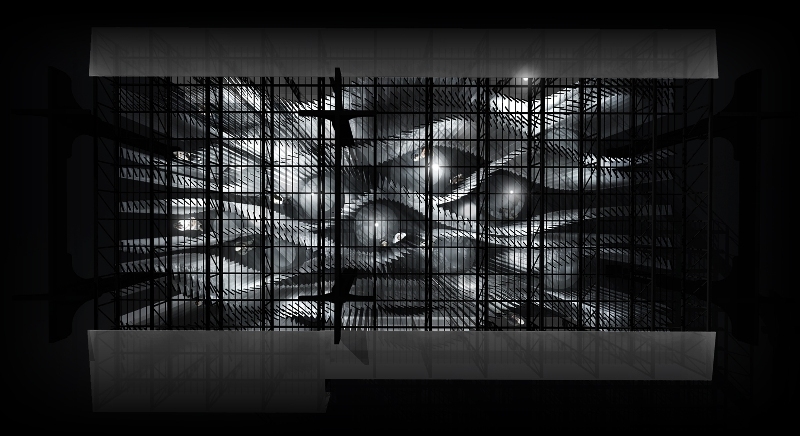 The tectonics and materiality have been carefully designed to intensify the industrial and repetitive nature of the spatial quality of being under the railway, while also introducing a more ephemeral quality of experience the through re-interpretation, tactility, density and illumination.